We’ve had a major crush on Birgit Kos ever since she first splashed onto the scene back in 2016 and our forums have been keeping a watchful eye over the Dutch beauty. 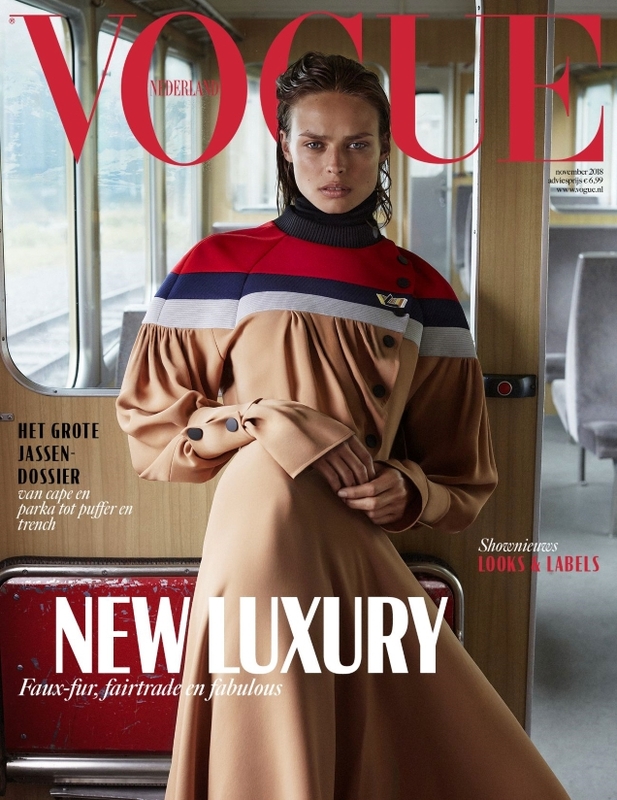 In June, Birgit looked like the supermodel she’s proving herself to be on Vogue Brazil, made the fold-out cover of Vogue Italia in April and is now welcomed back to the cover of Vogue Netherlands — just two months after her last appearance. Not your average cover shoot, Birgit was photographed for the November 2018 issue while venturing through the Kleine Scheidegg, a picturesque mountain pass in Switzerland during sub-zero temperatures. In the cover image (below), Brigit poses on the train decked out in Louis Vuitton while gazing down Alique’s lens. Despite the magazine’s best efforts, our forum members weren’t here for it. “Thought it was [photographed by] Quentin De Briey again because this is awful! The dress, the overall shot, hair and makeup, and her expression,” said Benn98 the moment the cover struck. “I thought we were past this Photoshop/sharp nonsense. Looks like she burned her face,” pointed out EstefaniaAbaddon. “LOVE her, but my god, how unappealing is this cover! From the styling, to her facial expression to the god-awful setting. It’s all so off-putting,” Miss Dalloway said. “Styling is horrid. Her expression makes it look as though she is just as confused as I am as to why this is the cover photo,” laughed RMDV. Sharing the same underwhelming sentiments was Valentine27. “Why does her face look so tense? And how did they agree to put that shot as a cover? Unflattering at best!” she complained. See which shot would’ve worked way better for the cover and share your opinion with us here.